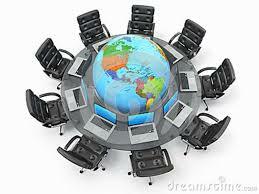 General objective of this article is to explain Business Communication for business networking. Business communication is the sharing of information between people in an institution that is performed for commercial benefit of the company. It can also be understood to be relaying of information within a business. Business Communication is communication involved to promote a product, support, or organization; relay information inside the business; or deal using legal and similar concerns. Business Communication for Business Networking is all about the following modules: Body Language, Personal Impact, Business Networking Skills.